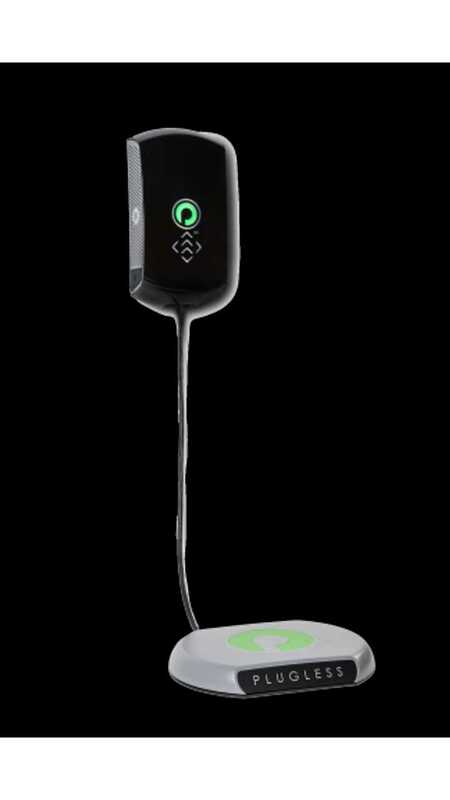 The PLUGLESS L2 System manufactured by Evatran has become the "first wireless electric vehicle (EV) charging system to carry the prestigious ETL certification mark." 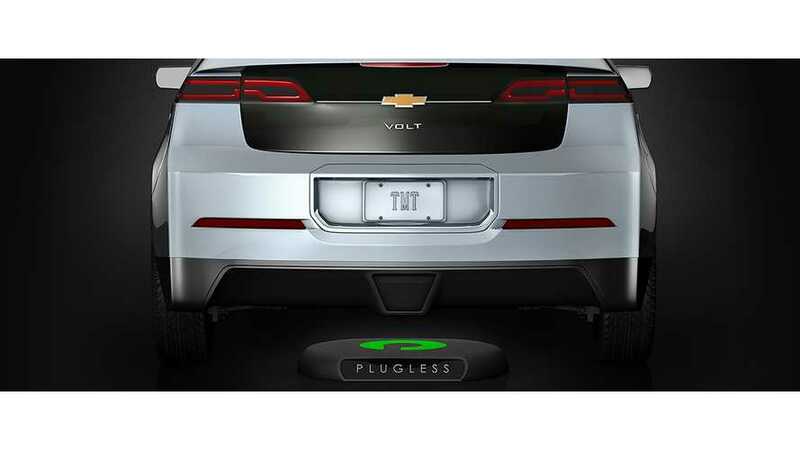 "The PLUGLESS L2 System is currently available for both the Chevrolet Volt and Nissan LEAF vehicles, and uses inductive power transfer through magnetic fields to transfer energy from a transmitting coil in the system’s parking pad, which lies on the garage floor. Using the system’s parking guidance feature, the driver parks his vehicle above the pad, which converts this energy into an electrical current that charges the EV." The only real drawbacks to the Evatran system are slow charging rates (3.3 kW max), compatability with only select models, and cost. All of which are discussed in detail here.